The first event we went to was for a book launch! 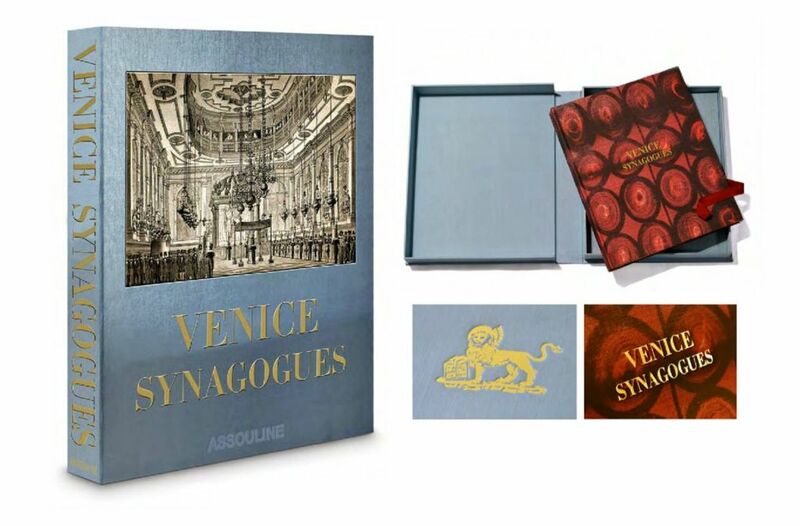 But not just any book – this is the magnificent Maison Assouline’s latest coffee table book, Venice Synagogues, an impressive and prestigious publication, which commemorates the 500th anniversary of the founding of the Venice Ghetto and is priced at £550. Its 100 illustrations, including hand-tipped images in a hand-bound limited edition in a silk clamshell case would crash my coffee table – in weight and style. It’s a book to be read – large type thankfully, with white gloves. The tome introduces readers to the historical and spiritual significance of the five principal synagogues in Venice as well as their stunning beauty. Behind the walls of the Ghetto, Venetian Jews expressed strong ties to their forefathers in constructing these beautiful places of worship. The architecture, furnishings, and decorations blended the memory of their different countries of origin with traditions of Venetian artistic culture, bequeathing the Venice enduring monuments of eminence that remain sites of reverence and admiration. It’s world we don’t normally see as we slip on our masks for Carnevale and hop on and off gondolas on the Grand Canal. 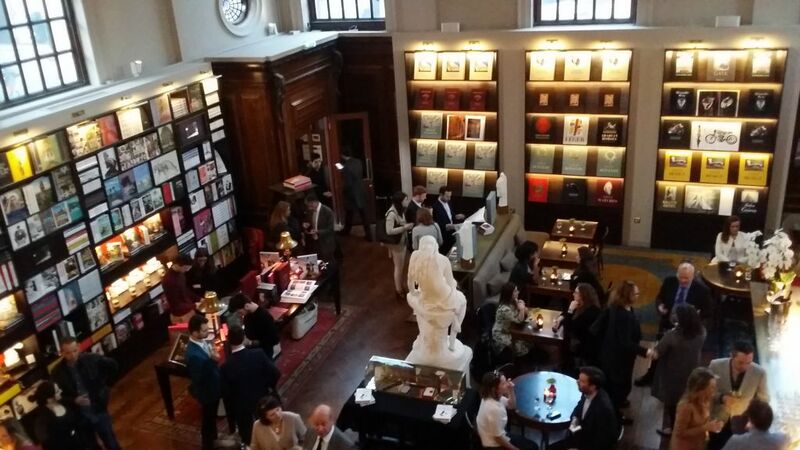 The venue was pretty spectacular too, part book shop, part wine bar. 196a Piccadilly was originally a banking hall designed by Sir Edwin Lutyens in the early 1920s and is now a Grade II* Listed building which has had the original walnut and lime oak panelling reinstated and the bank counters restored to the original design. It’s a world away from the West End – the thoroughfare outside may groan with tourists and traffic, inside the store the atmosphere is one of calm amidst the best that culture can offer. It might be the first for us but hope it won’t be the last.